I SPEND QUITE A LOT of time in churches, especially Parisian churches. I am interested in church architecture, I’m fascinated by the history of individual churches and I enjoy exploring the sounds of churches. One strand of my Paris Soundscapes Archive is dedicated to the sounds of Parisian churches. I have a particular interest in the work of the master organ builder, Aristide Cavaillé-Coll, and the organs he built for Parisian churches and while I’ve made many recordings of these Cavaillé-Coll organs I also record the ambient sounds in churches, especially when they’re empty. In my experience, there are no silent churches in Paris: even without services taking place, without the organ playing and with no people, there are still sounds. It’s as though the very fabric of each church speaks to the attentive listener. Apart from weddings and funerals (more of the latter than the former these days unfortunately) I seldom go to churches other than to explore their architecture, history and sounds. Imagine my surprise then when, thanks to a confluence of interests, I found myself, despite not being of the Roman Catholic persuasion, attending a Roman Catholic mass yesterday morning. The twin-spired Église Saint Jean-Baptiste de Belleville has been on my Parisian church exploration ‘to-do’ list for some time. It was built between 1854 and 1859 in the neogothic style by the architect Jean-Baptiste-Antoine Lassus, an expert in the restoration and recreation of medieval architecture, and it replaces a chapel built in 1543 and the first Saint-Jean-Baptiste church dating from 1635. Saint-Jean-Baptiste de Belleville was one of the first churches in Paris to be built in the neogothic style, which in itself was a good enough reason to visit it, but the fact that it also has a two-keyboard Cavaillé-Coll organ dating from 1863 was an added attraction. One of the things I knew about the church was that Edith Piaf, the French cabaret singer, songwriter and actress, was baptised here on the 15th December 1917. It was this confluence of interests: the neogothic l’église Saint-Jean-Baptiste de Belleville, a Cavaillé-Coll organ, my enthusiasm for Edith Piaf, in my view one of the greatest performers of the 20th century, together with the sound-rich environment of Belleville that brought me to this place yesterday morning where, to commemorate the 54th anniversary of her death, a Messe à la memoire d’Edith Piaf took place in the church supported by Les Amis d’Edith Piaf. During the Mass the organ played and, of course, I had to record it for my archive. From my recording I’ve produced the following sound piece of some of the music played, which illustrates some of the voices and textures of the Cavaillé-Coll organ and gives a flavour of the Mass itself. The piece opens with the full-throated Entrée. The tone changes for the next piece, the music for the Offertoire. Then comes the music for the Communion, an improvisation on “Non, je ne regrette rien”, a French song originally composed by Charles Dumont, with lyrics by Michel Vaucaire, always associated with Edith Piaf’s 1959 recording of it. The Sortie comprises a short organ piece followed by the lady herself singing “Hymne à l’amour” for which she wrote the words and Marguerite Monnot the music. The organ was played by Laurent Jochum, organiste titulaire des grandes orgues Cavaillé-Coll de l’église Saint-Jean Baptiste de Belleville et de l’orgue de la Chapelle du collège et lycée Saint-Louis de Gonzague à Paris. I am old enough to remember listening to Edith Piaf on the radio and I can remember her funeral bringing Paris to a standstill being headline news. For some of her short life she lived just round the corner from where I live now. Sitting in the church yesterday morning next to the font where she was baptised and with her voice echoing around the church, it seemed ironic that, because of her lifestyle, the Catholic Church denied her a funeral mass when she died – they branded her ‘a categorical sinner’. Instead, her coffin was carried through the streets of Paris to be buried at the Père Lachaise cemetery with only a token blessing. It was only on 10th October 2013, fifty years after her death, that the Roman Catholic Church gave her a memorial Mass in l’église Saint Jean-Baptiste in the parish in which she was born. I don’t propose to document the life of Edith Piaf here; a quick search of Edith Piaf on Google will tell you much of what you need to know about her. What I can say is that it is said she was born on the steps of N° 72 rue de Belleville on 19th December 1915. Her birth was registered at the Hôpital Tenon, next to what is now Place Edith Piaf in the 20th arrondissement, under the name Edith Giovanna Gassion. 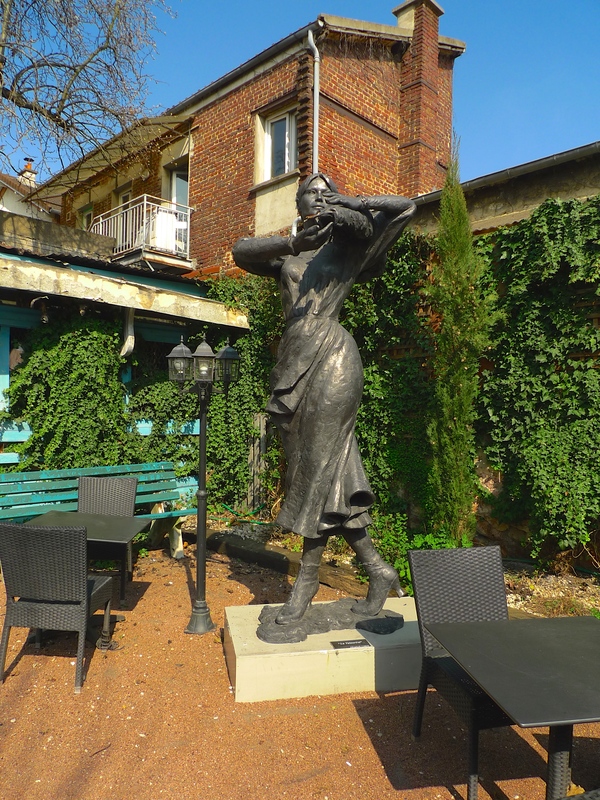 In 2013, a statue of Edith Piaf, known as l’Hommage à Piaf, created by the French sculptor, Lisbeth Delisle, was inaugurated in the Place Edith Piaf. Following yesterday’s Mass in Belleville I went to Place Edith Piaf to take in the atmosphere. I found a street market in full swing with some sounds that Edith herself might have been familiar with. I couldn’t possibly end my own hommage to Edith Piaf yesterday without visiting her grave in the Cimetière du Père Lachaise. She died on 10th October 1963 at the age of 47. Denied a funeral mass by the Catholic Church, some 10,000 people came to the cemetery to witness the interment of La Môme Piaf (‘The Little Sparrow’). Edith Piaf was interred in the same grave as her father, Louis-Alphonse Gassion, and Theophanis Lamboukas, (Théo Sarapo), whom she married in 1962. She is buried next to her daughter, Marcelle, who died of meningitis at the age of two. Of the 70,000 graves in the Cimetière Père Lachaise, Edith Piaf’s remains one of the most visited. From the sounds of the Cavaillé-Coll organ in l’église Saint Jean-Baptiste and the bustling sounds of the street market in Place Edith Piaf, I couldn’t leave the cemetery without recording the sounds of the relative stillness surrounding Edith Piaf’s grave. Like the fabric of an empty church, cemeteries speak to the attentive listener. THE ‘END OF THE LINE’ STRAND in my Paris Soundscapes Archive is dedicated to the sounds I capture in and around each terminus station on the Paris Métro system. From time to time I will share the atmosphere of some of these terminus stations and their surroundings on this blog. In my last ‘End of the Line’ post I explored in and around the Métro station Les Courtilles, the branch of Paris Métro Line 13 terminating in the northwest of Paris. Today, I will share with you my exploration in and around Métro station Château de Vincennes, the easterly terminus of Paris Métro Line 1. Opened in 1900, Métro Line 1 was the first Paris Métro line to be opened although it was shorter then than it is now. Today, it runs for 16.5 km from La Défense in the west of the city to Château de Vincennes in the east and well over half a million people use it each day making it the busiest line on the Paris Métro system. In 2007, work began to convert the line from being manually driven to becoming a fully automatic, driverless, operation. The work was completed in 2011 and involved the introduction of new MP 05 rolling stock and the erection of platform edge doors in all stations. I recorded my arrival at Château de Vincennes station, a ride up a creaky escalator, a walk across the station concourse, up another escalator and out into the street above. Both the name of the station and a display in the station concourse give us a clue to at least one thing we might find outside. Vincennes is a commune in the Val-de-Marne department in the eastern suburbs of Paris. As well as its famous castle, the Château de Vincennes, once home to French Kings, Vincennes is also known for the adjacent 995 hectare (2,459 acres) Bois de Vincennes, the largest public park in Paris, a zoo, the Paris Zoological Park, a botanical garden, the Parc Floral de Paris, and a large military fort once used as a proving ground for French armaments. Vincennes is also home to the Service Historique de la Défense, which holds the archival records of the French Armed Forces. A short walk from the Métro station I discovered the Cours Marigny, a promenade between the Château de Vincennes and the Hôtel de Ville undergoing a makeover due to be completed in the Spring of 2018. In the town square I found a display of old photographs showing Vincennes as it once was. But in Vincennes, town and crown sit cheek by jowl so the château is never far away. The Château de Vincennes is a massive former French royal fortress, which originated as a hunting lodge constructed for Louis VII around 1150 in the forest of Vincennes. In the 13th century, Philip Augustus and Louis IX, King of France from 1226 until his death during the eighth crusade in 1270, erected a more substantial manor. By the 14th century, the Château de Vincennes had expanded and outgrown its original site. With the outbreak of the Hundred Years War, it became as much a fortress as a family home. Philip VI added a donjon, or fortified keep, which at 52 meters high was the tallest medieval fortified structure in Europe at the time. The grand rectangular circuit of walls was completed in about 1410. The donjon served as a residence for the royal family and its buildings are known to have once held the library and personal study of Charles V. In 1422, seven years after his victory at Agincourt, Henry V of England died in the donjon from dysentery, which he had contracted during the siege of Meaux. To capture the ‘End of the Line’ atmosphere around the Métro station Château de Vincennes I recorded while sitting on a green bench alongside the wall and the moat on the western side of the château, close to one of the Métro entrances and even closer to the donjon and its bell tower. 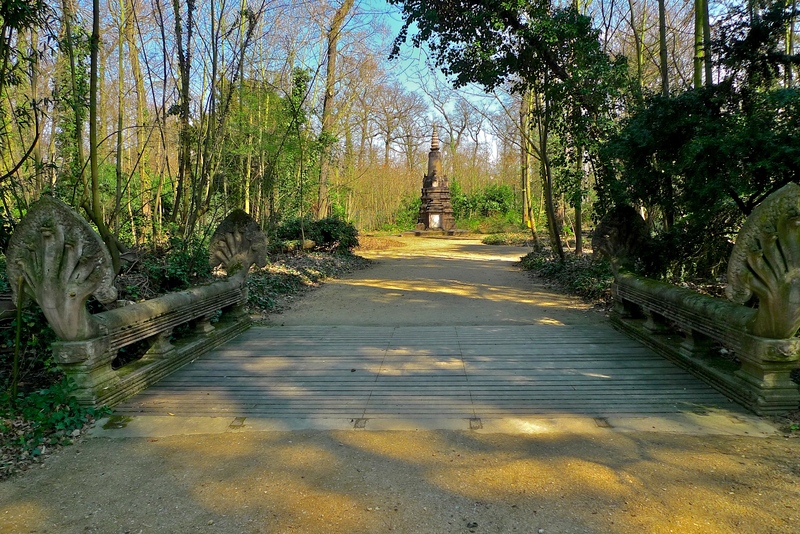 The sounds are the everyday sounds of this leafy part of Vincennes, including the chiming of the donjon bell. “The château must be one of the most bad-tempered collections of buildings in the world, full of the prose of containment without any of the poetry of castellation. The vast medieval curtain-wall is opened out at the south end, towards the Bois, with grumpy classical buildings by Le Vau: on the north side there is the entrance tower, and brooding over the whole cross-grained mixture is the fourteenth-century donjon, which they say is the tallest in Europe; five huge storeys, surrounded by its own curtain-wall. Inside, the tall rooms, each heavily vaulted from a single pillar, give away nothing more than the facts of incarceration, if anything reinforced by the Gothic ribs and corbels that are familiar from less gloomy places. It is no illusion: Vincennes has a grim record and the tiny ill-light cells are still there to prove it. Just for clarification: For those not familiar with it, Aldershot, to which Ian Nairn refers, is a garrison town in the south of England, and France no longer has compulsory military service. The bus terminus, the end of the Métro and the line-up of cheerful cafés are still there and, although not as cheap as they were, some of the meals at least have improved! IF YOU’VE READ Victor Hugo’s novel Les Misérables you will have read Hugo’s fictional account of the June Rebellion or the Paris Uprising of 1832, the last outbreak of violence linked with the July Revolution of 1830. Général Jean Maximilien Lamarque had been a French commander during the Napoleonic Wars and had served with distinction in many of Napoleon’s campaigns. But following the July Revolution of 1830 he had become a leading critic of the new constitutional monarchy of Louis Philippe. In Les Misérables, Victor Hugo views Lamarque as the government’s champion of the poor. He says that Lamarque was “loved by the people because he accepted the chances the future offered, loved by the mob because he served the emperor well”. Hugo portrays Lamarque as an emblem of French pride and honour. In 1832, a cholera epidemic spread across France and Lamarque fell victim to it. He died on 1st June. Because of his status as a Republican and Napoleonic war hero, his death provided the spark that led the revolutionaries to take to their barricades. On the 5th and 6th June 1832, Paris saw two bloody days of rioting with the Société des amis du peuple, la Société des droits de l’homme, students, craftsmen and labourers playing a principal part. But as early as the evening of 5th the Army and the National Guard had begun to suppress the uprising. By the following day fierce fighting centered on the last remaining pocket of resistance in the Rue du Cloitre-Saint-Merri beside the Église Saint-Merri, but this too was finally suppressed. Over the two days of the uprising some 800 people were killed or wounded. The rue du Cloitre-Saint-Merri dates from the 12th century. It was originally called Rue de la Porte Saint-Merri, because it was next to l’Arche Saint-Merri, a 10th century gate through the second wall to encircle Paris. By the 14th century, the street had become one of many streets in Paris noted for its prostitutes; at least it was until the parish priests of Saint-Merri demanded, not altogether successfully, that they be expelled. Today, rue du Cloitre-Saint-Merri runs for 132 metres from rue du Renard to rue Saint-Martin. For much of its length it runs alongside the northern side of the Église Saint-Merri. At its junction with rue Saint-Martin, the rue du Cloitre-Saint-Merri ends with a small square noted for its ever-changing street art. It was around this small square that some of the bloodiest fighting of the Paris uprising took place, and it was here that I chose to sit on a bench partly to reflect on the events of 1832 and partly to absorb the elaborate 16th century gothic architecture of the Église Saint-Merri standing next to me. For someone wired up like me it’s impossible not to contemplate history without conjuring up images of the sounds associated with that history. What would this place have sounded like I wondered in June 1832, or when the Église Saint-Merri was in its Middle-Ages pomp, or even when rue du Cloitre-Saint-Merri was a 14th century rue aux ribaudes? 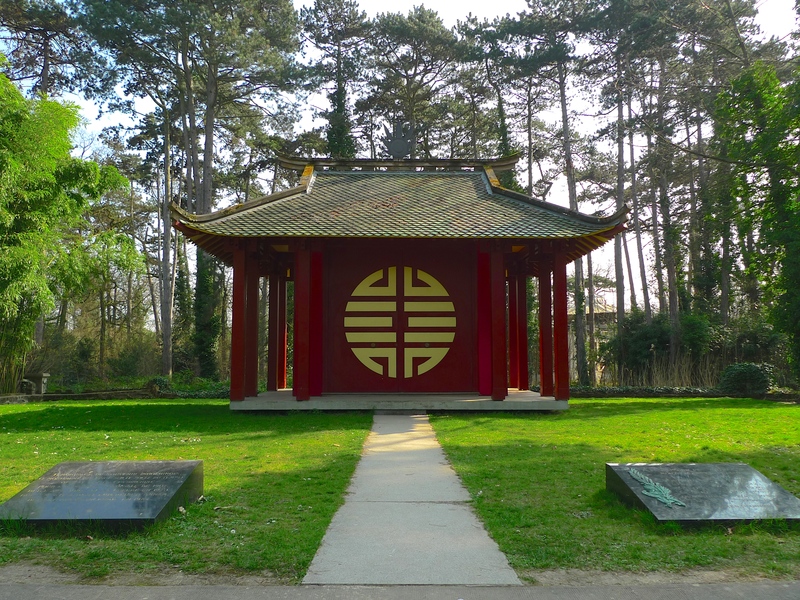 Unfortunately, from my Parisian green bench my imagined historical sounds were overwhelmed by the contemporary sounds around me – 16th century stonemasons replaced by 21st century Chinese building contractors. If you make it to the end of this sound piece you will discover that at least a flicker of the Parisian revolutionary spirit still survives: a lone voice of protest is heard as the whining of the weapon of mass construction reappears. Although the Église Saint-Merri we see today dates from the mid-16th century, its roots go much further back. Tradition has it that Medericus, abbot of the Abbey of Saint-Martin d’Autun, came to live as a hermit in a hut near the Saint-Pierre-des-Bois oratory which stood on the site of the present church. He is said to have died in August 700 and was buried there. He was later canonised and renamed Saint-Médéric. In 884, Goslin, the bishop of Paris, had Médéric’s remains exhumed and laid to rest in the Saint-Pierre-des-Bois oratory, which now became the Saint-Médéric chapel. It was at this time that Saint-Médéric became the patron saint of the Right Bank. Over time, the name Médéric was contracted to Merri, which is why the Église Saint-Merri and the rue du Cloitre-Saint-Merri are so named. Today, the remains of Saint-Médéric still rest in the crypt of the church. In the early 10th century, a new church, Saint-Pierre-Saint-Merri, was built at the instigation of Eudes Le Fauconnier. Styled as a ‘Royal Officer’, it is possible that this was the same Eudes Le Fauconnier who took part in the defence Paris during the Viking siege in 885-86. “Hic jacet vir bonæ memoriæ Odo Falconarius fundator hujus ecclesiæ”. “Here lies Eudes Le Fauconnier, of fond memory, founder of this church”. The present day Église Saint-Merri was built between 1515 and 1612. The crypt, the nave and the aisles date from 1515-1520, the transept crossing from 1526-1530 and the choir and the apse were completed in 1552. Some restoration work was carried out in the 18th century; some of the broken arches were repaired, the floor was covered with marble and the stained-glass windows were partly replaced by white glass. During the French Revolution the church was closed for worship and was used to make saltpetre, one of the constituents of gunpowder. From 1797 to 1801, Theophilanthropists made it a “Temple of Commerce”. Theophilanthropists were a deistic society established in Paris during the period of the Directory aiming to institute in place of Christianity, which had been officially abolished, a new religion affirming belief in the existence of God, in the immortality of the soul, and in virtue. The church was returned to the Catholic worship in 1803. The bell-tower was built with three floors in 1612 but, following a fire in 1871, it was reduced to two floors. This bell tower houses the oldest bell in Paris dating from 1331. The Église Saint-Merri has two organs, a choir organ and a grand orgue de tribune. François de Heman built the tribune organ with its five turrets between 1647 and 1650 and the master carpenter Germain Pilon crafted the turret buffet in 1647. The instrument was enlarged by François-Henri Clicquot in 1779, and then rebuilt from 1855 to 1857 by Aristide Cavaillé-Coll. Further work was carried out in 1947 by Victor Gonzalez. Camille Saint-Saëns was the organist at the Église Saint-Merri from 1853 to1857. My exploration of the sounds in and around the Église Saint-Merri took me from Medericus, a hermit living in a hut and subsequently canonised, to Eudes Le Fauconnier and the 9th century Viking siege of Paris, to the craftsmen of the 16th and 17th century, to the oldest bell in Paris, to a church used for making gunpowder and the bloody events of the Paris Uprising of 1832. And let’s not forget the medieval Parisian street with its ‘ladies of the night’ and the modern day Chinese builders. Which goes to show that following contemporary sounds can lead in many different directions. BECAUSE IT’S NEVER HAD a roof, the Passage Molière doesn’t qualify as one of the surviving Parisian passages couverts, the covered passageways built mainly in the first half of the nineteenth century. What the Passage Molière can claim though is that it predates all the one hundred and fifty original passages couverts. The oldest Parisian passage couvert, the Passage des Panoramas, opened in 1799 whereas the Passage Molière dates back to 1791. The Passage des Panoramas and the Passage Molière do have something in common though: both house a theatre. The Passage des Panoramas is one of the twenty surviving passages couverts and it is still home to the Théâtre des Variétés, while the Passage Molière is home to the Théâtre Molière from which the passage takes its name. The Théâtre Molière was founded by the French actor, playwright, theatre director, businessman and revolutionary, Jean François Boursault-Malherbe. It opened on 18th June 1791 with a performance of Molière’s The Misanthrope, a satire about the hypocrisies of French aristocratic society and the flaws that all humans possess. Unfortunately, the theatre was not a resounding success. It closed in August 1792 and then underwent several changes of management and several changes of name, although Boursault retained the ownership. The theatre became variously known as the Théâtre des Sans-culottes, Théâtre de la rue Saint-Martin, Théâtre des Artistes en société, Théâtre des Amis des arts et de l’Opéra-Comique and Théâtre des Variétés nationales et étrangères. The theatre’s fortunes recovered a little at the turn of the century thanks to several notable actors being persuaded to perform there including Thomas Sheridan, but in 1807 it was closed again and became a hall for concerts, banquets and balls. The theatre opened yet again in 1831 but in the revolutionary climate of 1848 it was occupied by the Club patriotique du 7e arrondissement for political meetings and thereafter was abandoned and fell into oblivion for more than a century. Eventually, the City of Paris authorities stepped in and restored the theatre back to its original eighteenth century architecture. Today, the theatre forms part of the Maison de la Poésie – Scène littéraire in the Passage Molière. Founded in 1983, La Maison de la Poésie was created for the creation and dissemination of, and events about, contemporary poetry. The Passage Molière runs in an east – west direction from 157 rue Saint-Martin to 82 rue Quincampoix. At fifty metres long it cuts through blocks of buildings with each end covered where it passes under the buildings. Like the Théâtre Molière, the passage has had several names. During the French Revolution it became the Passage des Sans-Culottes and then the Passage des Nourrices before reverting back to Passage Molière. I recorded the sounds in the Passage Molière from outside the Maison de la Poésie and the restored Théâtre Molière with rue Saint-Martin to my left and rue Quincampoix to my right. The passage is a relatively quiet oasis amidst the more strident sounds of the surrounding neighbourhood so all I had to do was to give the sounds time to speak and tell their own story. Walking through the Passage Molière, the attentive observer may notice that the building numbers do not follow the Parisian street numbering convention of even numbers on one side and odd numbers on the other with the lower numbers progressing to the higher numbers in the same direction. In the Passage Molière, the numbers progress in an anti-clockwise direction. Starting on the right side of the passage at its eastern end, the numbers increase sequentially heading west and then from the western end, the numbers continue sequentially heading east. 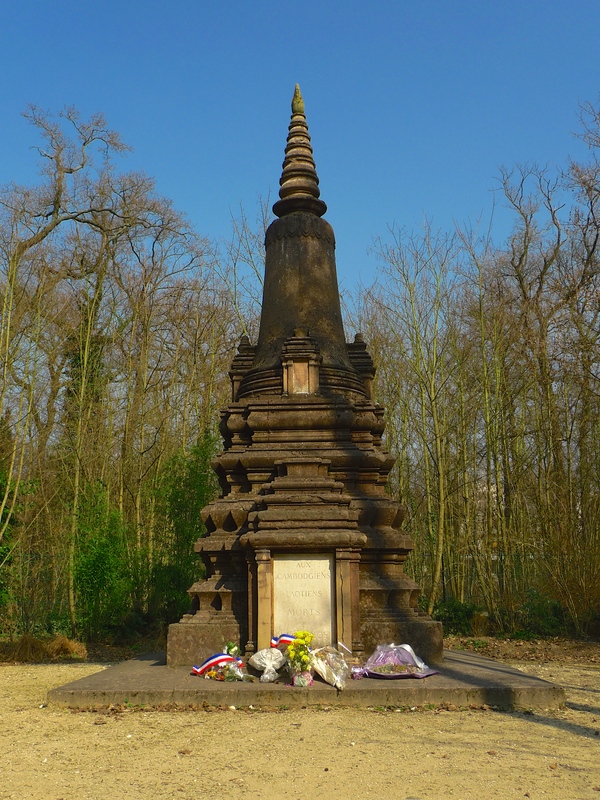 IT WAS IN APRIL 2011 when I last visited the Jardin d’Agronomie Tropicale in the Bois de Vincennes at Nogent-sur-Marne on the eastern edge of Paris. Then, I went there several times to record sounds for the 2011 Paris Obscura Day event organised by Adam, curator of Invisible Paris. Recently, I decided it was time to return to Nogent-sur-Marne and explore a little more. I am fascinated by industrial archaeology and particularly by the mid-nineteenth century iron and glass structures to be found in Paris – structures like la Grande Halle de la Villette or Henri Labrouste’s sumptuous reading room at the Bibliothèque Sainte-Geneviève. 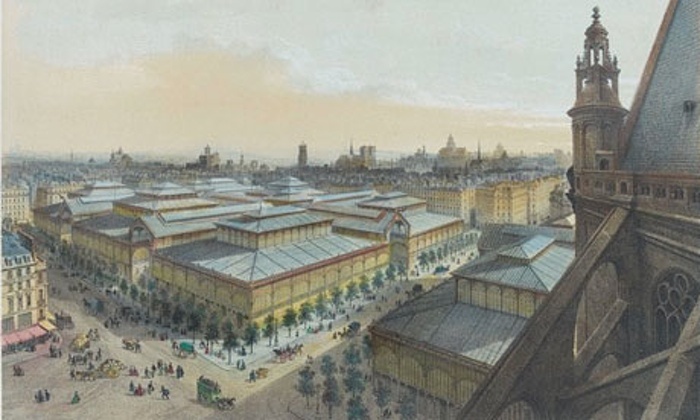 Sadly, I was never able to see the eight Victor Baltard iron and glass pavilions at Les Halles, the traditional central market in Paris founded in 1183. 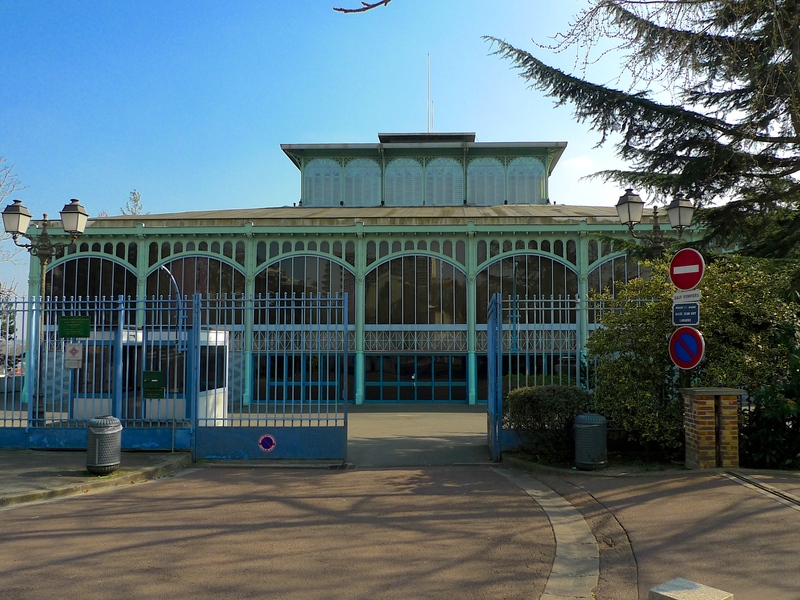 Unable to compete in the new market economy and in need of massive repairs, the central market was relocated to Rungis, south of Paris, in 1971 and all but two of Baltard’s iron and glass pavilions were destroyed. The two that survived were dismantled and then re-erected, one in Yokohama, Japan and the other in Nogent-sur-Marne. 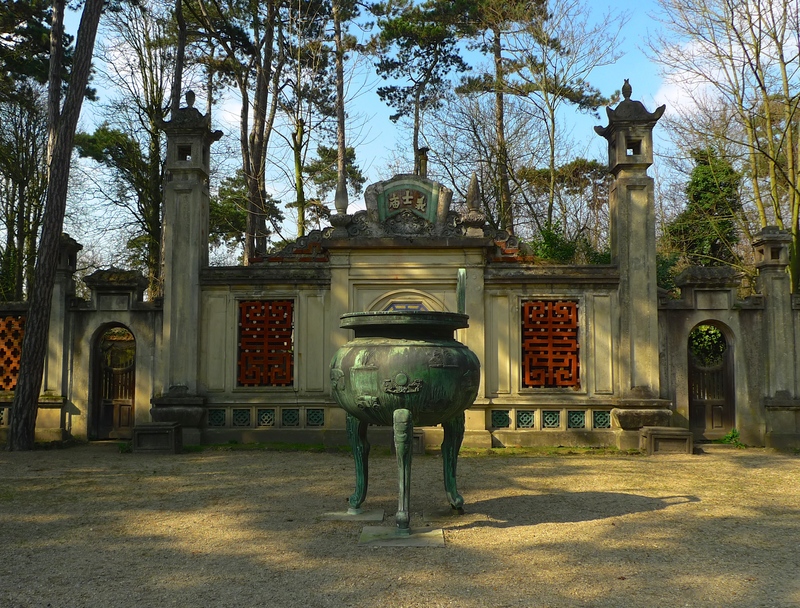 When I went back to Nogent-sur-Marne recently I sought out this surviving Baltard pavilion. 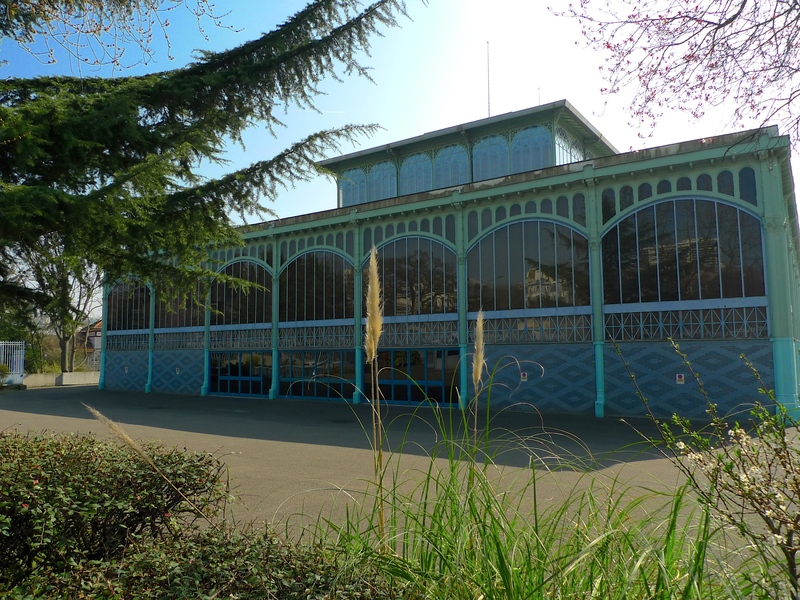 This pavilion was used originally for selling eggs and poultry at the Les Halles market. Today it’s surround by iron gates – the original gates from Les Halles – and it’s used for a variety of events including concerts, exhibitions and corporate functions. Unfortunately, I was not able to gain entry to the pavilion, which was a shame because as well seeing the pavilion itself I particularly wanted to see something housed inside. 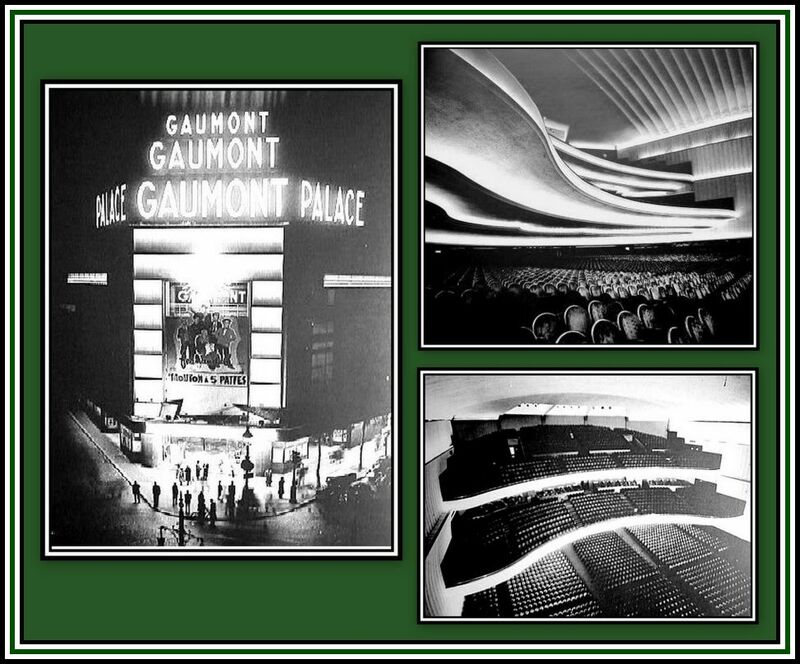 As well as acquiring the Baltard pavilion, Nogent-sur-Marne also managed to acquire the four manual, sixteen rank, Christie cinema organ once housed in the massive 5,500 seat Gaumont Palace cinema in Paris. Built in 1931 by the English organ builders, Hill Norman and Beard, the organ now resides in the Baltard pavilion. 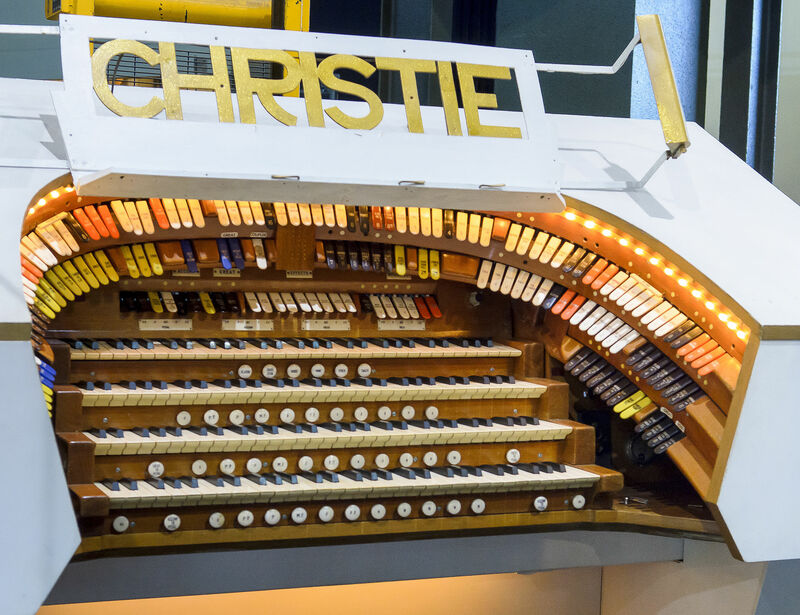 This famous theatre organ will always be linked with the organist, Tommy Desserre, who played the instrument until the Gaumont Palace closed in 1972. Although I wasn’t able to go in and see the organ, I have found this 1988 recording of John Mann playing an Hommage to Edith Piaf on the organ in the Baltard pavilion so you can hear what it sounds like. Having seen the Baltard pavilion, if only from the outside, I took myself off to a nearby bistro for lunch where I found this lady posing for me. After lunch I decided to make a return visit to the Jardin d’Agronomie Tropicale at the eastern edge of the Bois de Vincennes. The last time I was here I spent four days recording sounds for Adam’s Paris Obscura Day event so I was anxious to see what sounds I might capture on this summer’s day. 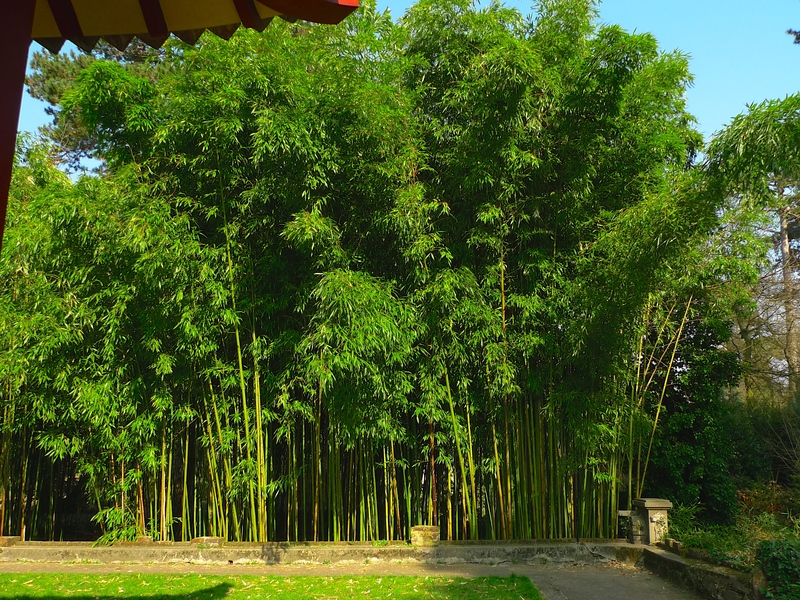 I settled myself down beside the Indochinese temple and began to record the wildlife, the rustle of the bamboo trees and the ever-present man-made sounds around me. The Jardin d’Agronomie Tropicale was created in 1899 as a ‘jardin d’essai colonial’, a research garden, with the aim of coordinating agricultural experiments that would lead to the introduction or reintroduction of exotic plants like coffee, bananas, rubber trees, cocoa and vanilla across the French colonies. During the summer of 1907 the garden became the site of a Colonial exhibition organised by the French Colonisation Society. 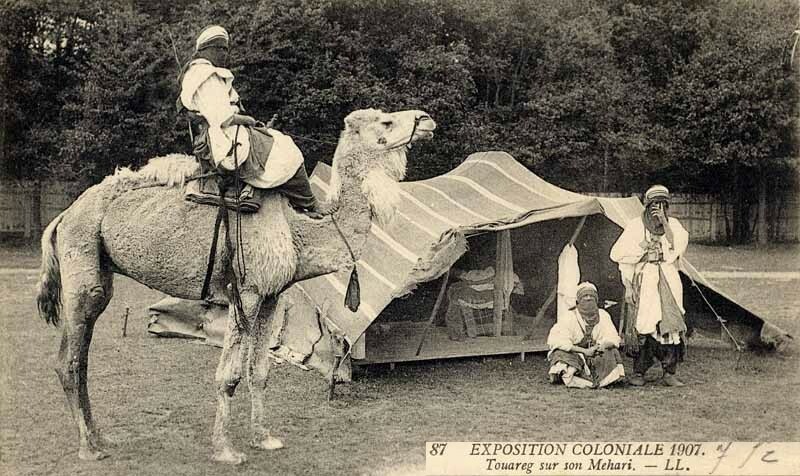 The exhibition was designed not only to show off exotic plants, animals, and other products of the French empire but also to show off people from the colonies who lived in five different villages on the site recreating their ‘typical’ environments. There were villages for people representing the Congo, Indochina, Madagascar, Sudan, and New Caledonia as well as a camp for the Tuaregs from the Sahara. This ‘human zoo’ proved to be very popular attracting around one and a half million visitors. At the end of the summer of 1907 the exhibition closed, the residents returned home and the exhibition site was left abandoned. During World War II, the site was used as a hospital for colonial troops and in the post-war years part of it housed the École d’agronomie tropicale and the Centre technique forestier tropical. The remnants of the Colonial villages though were left to decay. In 2003, the city of Paris acquired the site and began a development programme and the garden was opened to the public in 2006. Even though I didn’t get to see the Christie cinema organ, I enjoyed my day in Nogent-sur-Marne. Seeing the Pavillon Baltard has been on my ‘to do’ list for a long time and sitting in the Jardin d’Agronomie Tropicale listening to its sounds was a delightful way to spend a summer afternoon. PARIS TRAMWAYS DATE BACK to the mid-nineteenth century with the first city tram route opening in 1855. At its peak in the 1920s, the tramway network incorporated some 122 lines and upwards of 1,000 km of track. By the 1930s though, the internal combustion engine reigned supreme and the number of motor cars and motor buses on the roads signalled the end of the tramways. The last of the tram lines in Paris, Porte de Saint-Cloud to Porte de Vincennes, closed in 1937, and the last line in the entire Paris agglomeration, running between Le Raincy and Montfermeil, ended service in 1938. Paris and the surrounding region had to wait for almost sixty years before a new tramway network began to appear with a new generation of trams. First came Line T1, opened in 1992 followed by Line T2 in 1997, Lines T3 and T4 in 2006, Lines T5 and T7 in 2013 and Lines T6 and T8 in 2014. Some of these lines have already been extended and further extensions are planned. And two further new lines are planned: Line T9 is scheduled to open in 2020 and Line T10 in 2021. Of the nine tramways currently operating in the Île-de-France region (Line T3a and T3b count as two separate lines) most operate within the suburbs around Paris, with only two lines, T3a and T3b, running entirely within the city limits, although line T2 does so for part of its route. One of the suburban tramways is Line T8, the latest tramway to be opened, and I went to take a ride on it. After a trial running of four weeks without passengers, Line T8 opened in December 2014. The tramway runs 8·5 km north from Saint-Denis – Porte de Paris to Delaunay-Belleville, where it splits into two branches, terminating at Villetaneuse-Université and Epinay-Orgemont. There are a total of 17 stops and, in another example of RATP’s joined-up thinking, interchange is provided with metro Line 13, tram line T1 and RER Line C.
I caught a tram at Saint-Denis and travelled to Epinay-Orgemont in Epinay-sur-Seine. The journey took 22 minutes and included 13 stops, the other 4 stops being on the branch line to Villetaneuse. Villetaneuse is planned to be a future station on the new Tangental North line, a €1.5 billion suburban tram-train line that will interchange with existing SNCF Transilien trains, trams, metro, and Réseau Express Régional (RER) lines A, B, C, D and E. This line is scheduled for completion in 2023. Epinay-sur-Seine is no stranger to trams. The tramway Enghien (Cygne d’Enghien) – Trinité (Église de la Trinité à Paris) was opened by the Compagnie des Tramways électriques du Nord-Parisiens on 26th September 1900. The line survived until March 1935 when it was replaced by a bus route. I didn’t have to wait long for a tram for my return journey from Epinay to Saint-Denis. The trams run every six minutes, although along the stretch from the Delaunay-Belleville stop, where the two branch lines meet, to Saint-Denis they run every three minutes. Tram Line 8 operates with a fleet of 20 low-floor Alstom Citadis trams assembled at Alstom’s La Rochelle factory. Each tram is 32 metres long and 2.4 metres wide, made up of five sections with capacity for 200 passengers. The trams include air-conditioning, CCTV, a passenger counting system and audiovisual passenger information. Some 55,000 passengers use Tram Line 8 every day, which amounts to 16 million passengers per year. Constructing Tram Line 8 was a formidable task. The project, implemented by GCF, Generale Costruzioni Ferroviarie, in a consortium set-up with Esaf and Laforet, had to contend with a route running through a densely populated residential area characterised by a high volume of traffic. During construction, efforts were made to reduce pollution involving dust, gas and noise, as well as achieving maximum vibration reduction. Steps were also taken in advance over the entire length of the line to ensure the physical protection of trees by masking them to safeguard against the possible effects of shock caused by mechanical equipment. Today, the tramway network around Paris amounts to some 105km of track with more still to come. The tramway network may be far short of its peak in the 1920s but riding today’s trams is a convenient and comfortable way to travel and I thoroughly recommend it. SOME NINETEENTH CENTURY OBSERVERS of Paris were quite forthright in their impressions of the sonic tapestry of the city. And so to Paris in the twenty-first century; has anything changed? The kind of sounds that John Sanderson and Delphine de Girandin encountered still exist in modern day Paris although the emphasis has changed. The cries de Paris are now largely confined to the traders in the street markets although one can still come across men (it’s almost always men) calling out ‘Le Monde’ as they meander from café to café selling the afternoon edition of the daily newspaper. The street musicians still ply their trade although not quite so prolifically as in the nineteenth century. And then there’s the traffic! The sound of traffic pervades almost every nook and cranny of the city today and it can be overpowering and it’s perpetual; it really is the noise that never dies. I spend a lot of time listening to Paris, so the notion of the city as a perpetual concert chimes with me. For me, it’s not just the street music that forms the concert, but rather all the sounds of the city. I see each individual sound, musical or not, as a dot on a score which, when added together, form a complete sonic composition. Or, to use a different metaphor, one might consider individual sounds as the warp and the weft, which, when woven together, form a sonic tapestry depicting the city. Perhaps I can illustrate the notion of the city as a perpetual concert by recounting my perambulation around a part of Paris last Saturday afternoon. I began at the Jardin du Luxembourg where I came upon this gentleman playing one of Delphine de Girandin’s organs of Barbary. Listening to this street organ, it’s impossible not to notice the pervading background sound of the passing traffic. From the Jardin du Luxembourg, I walked the short distance to the Église Saint-Sulpice and then to the Place Saint-Germain-des-Prés. The Place Saint-Germain-des-Prés is home to the church of the former Abbey of Saint-Germain-des-Prés, founded in the 6th century, and the famous café Les Deux Magots, once the rendezvous of the literary and intellectual élite of the city. But for our purposes, the important thing about the Place Saint-Germain-des-Prés is that it is paved with John Sanderson’s rough stones. The Place Saint-Germain-des-Prés revealed the sounds of passing cycles, cars, the occasional two-wheeler, a luggage trolley and, with a nod to John Sanderson, at least three omnibuses. And these sounds deserve to be listened to attentively because, thanks to the pavé, the pervasive, noise polluting, cacophonous traffic noise that blights this city seems to have been transformed into a soporific, almost musical composition. My guess is that most of the people in Place Saint-Germain-des-Prés on Saturday afternoon were probably unaware of these sounds other than providing them with a faint sonic background to their dash from the church to the café. Yet for someone wired up like me, these sounds not only form part of the perpetual concert but they also screech, Paris! Having listened so far to modern day examples of Delphine de Girandin’s organs of Barbary and John Sanderson’s rattling of cabs and other vehicles over the rough stones, it’s possible to take the notion of the city as a perpetual concert a stage further. A few steps away from the Place Saint-Germain-des-Prés is the Rue de l’Abbaye, a street named after the Abbey of Saint-Germain-des-Prés. It’s a narrow street running some 170 metres from Rue Guillaume Apollinaire to Rue de l’Echaudé and, although Paris is a bustling, sound rich city, Rue de l’Abbaye is one of the few streets shrouded in relative quiet. So can a quiet street like Rue de l’Abbaye contribute to our perpetual concert? To find out, I perched myself on the steps of N° 3 Rue de l’Abbaye, the Institut Catholique de Paris, known in English as the Catholic University of Paris, and began to record. In Rue de l’Abbaye we find the human and avian species intertwined; the footsteps, the voices and the rustle of clothing as people pass by interlaced with the gentle cooing of the pigeons enjoying a late lunch and the flapping of their wings as they flutter to and fro in search of a tastier morsel. The occasional traffic sounds are in proportion to the surrounding ambient sounds rather than dominating them. It takes concentrated listening to get the most out of these sounds but the effort is worth it because what is revealed is yet another strand to the city as a perpetual concert. To complete my afternoon’s listening I returned to the Place Saint-Germain-des-Prés and one of Delphine de Girandin’s great serenades! Not the violins, galoubets, flutes, guitars, and Italian singers she referred to but instead, the Dixieland jazz style of the early twentieth century. This group of jazz musicians can be found most Saturdays at the southwest corner of Place Saint-Germain-des-Prés entertaining an enthusiastic audience comprising mostly tourists. In conclusion, I look upon Paris as a city of perpetual concert in which all the sounds the city has to offer, ranging from the loud, brash and often unwelcome to the subtle and understated, are performers of equal value. John Sanderson refers to the noise that never dies and Delphine de Girandin to Parisien ears have not one instant of rest, both of which are true: the city is never without sound so the concert is perpetual. It’s just a question of learning to appreciate it. It’s a quirk of our times that when we listen to recorded sound we tend to crank up the volume too much. In order for you to appreciate the sounds featured in this post I have set the levels so that the sounds correctly relate to each other. In other words, the sounds will replay at the same level relative to each other as I heard them when they were recorded. To get the best effect, set the level of your listening device to the sounds of the street organ remembering that less is always more! Then keep your listening device set to the same level for all the other sounds.